The Rolling Stones are gearing up for the final “50 & Counting” concert Saturday at the Prudential Center in Newark, New Jersey. 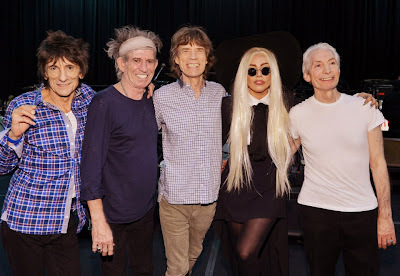 For the fifth and last show of the Stones fall trip, the group will be joined by special guests including former band member Mick Taylor, Bruce Springsteen, Lady Gaga and the Black Keys. On Friday, the Stones released a photo of the band with Lady Gaga at rehearsals for the event. The pay-per-view concert is being telecast live worldwide on Saturday at 9pm EST/6pm PST.